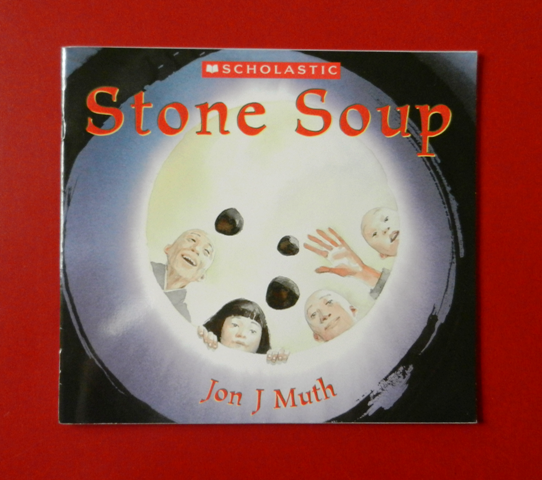 Summary: This is an old legend of scarcity, fear, & selfishness in which 3 strangers enter an unwelcoming village & begin to make stone soup, a dish in which sharing is required. The strangers are at first not welcomed. Once they begin making their mysterious stone soup, the hungry villagers become curious. It takes a child's courage to make contact and urge her elders to come see, and smell, and eventually taste. Little by little, the villages give out of their scarcity and taste the marvels of generosity and community. Hanna’s Comments: Various versions of this old tale have been published; this one has a beautiful Chinese setting. Tom Chapin has recorded a wonderful song with the same title and story. The video version was shared during worship at my church when we were launching a year of focusing our local mission activities on food deserts in our city. This is truly a beautiful book with an incredible message that all will enjoy! Idea(s) for Application: Read this book to your faith family and explore the importance of hospitality, generosity, abundance rather than scarcity, or unity in community.